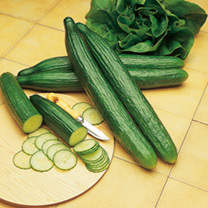 Belonging to the same botanical family as squash and melons there is a wide variety of cucumber plants to choose from. Some will do fine outdoors but others will need to be grown under glass. On a hot summer day the cool crunch of a homegrown cucumber really takes some beating. 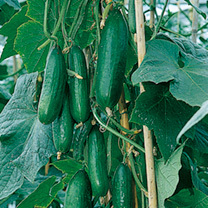 Cucumber plants can and should be grown by even the most inexperienced of gardeners. Where to grow? - Clearly the indoor varieties of cucumber plants need to be grown under glass. The outdoor verities need a warm sunny spot with protection from cold winds. How to grow? 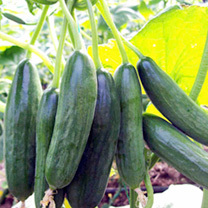 - Cucumber plants can be grown in growing bags, pots or direct in the soil. 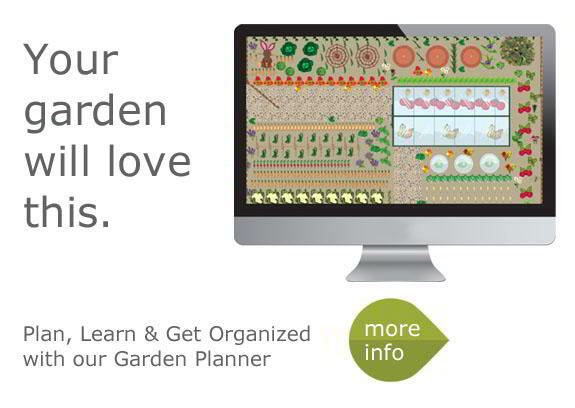 Train them up a vertical cane or trellis and with indoor plants pinch out the tips when they reach the roof. Pinch out side shoot tips as this will encourage more to develop. 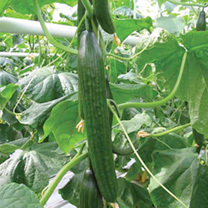 Cucumber plants are thirsty as they have a high water content. So water regularly and feed once a week when the first fruits start to swell. 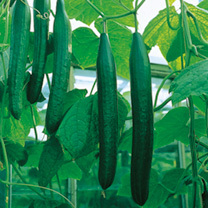 With indoor cucumber plants keep the humidity high by spraying the floor with water. When to harvest? 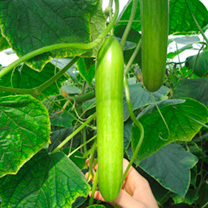 - Harvest regularly from early August onwards as this will encourage the plant to continue cropping. So, when the fruits are 15-20cm long cut them from the stem using a sharp knife. Cropping will continue until the end of August. How to eat? 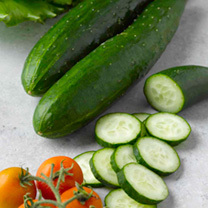 - Crisp raw cucumber is delicious when added to a salad or served as a crudité with a dip. Cucumber sandwiches paint a very English garden picture with hollowed out cucumber chunks filled with cream cheese or similar making a tasty nibble.